I'm sorry but let me start by saying that I am addicted to cards, I have always loved finding unique or different designs. One of my all time favourite brands for this stuff without a doubt is Papyrus. I was recently at an event of which they were sponsoring as well and got talking to the girls, I explained how much loved their quirky designs and that I have been purchasing from them for absolute years and so the girl gave me a whole bunch of cards. Of course they were for free, but she didn't know I had a blog so this post definitely isn't sponsored. I don't know what it is about giving people cards that I love so much. The thing is, I fully know you can sometimes pay a lot for something that is looked at for a week and then discarded in a draw to be forgotten so I get why people go to cheaper shops because the sentiment is still the same regardless of the price. But for my, nothing compares to someone opening up a card they expect to see something generic and get they get something bedazzled in jewels or smothered in glitter telling them that the are AMAZING and this is where Papyrus steps in. Papyrus is a brand that has been around for a long time now, but I still kind of feel it's a bit understated which is odd because the cards are so in your face how could you miss them. 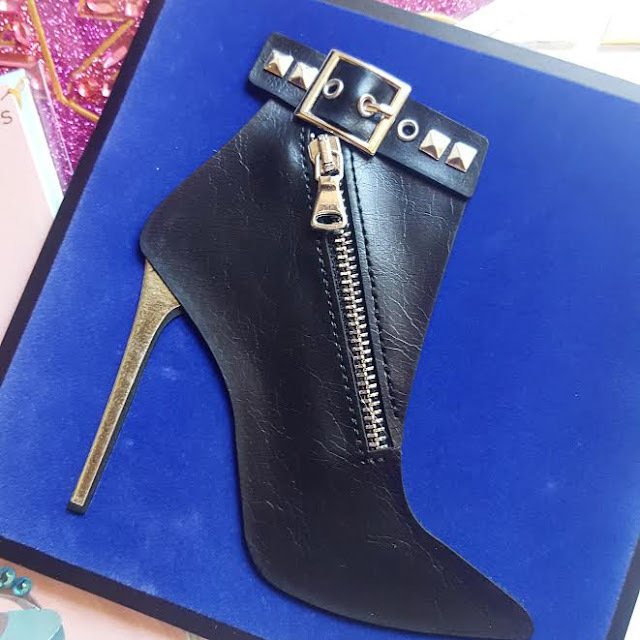 The thing is they aren't you stereotypical "Happy Birthday" type of cards, like hat killer heel boot is a birthday card telling the person to have a Fierce birthday, now that's my kinda card. It's got studs, it's got leather and is has a heel, what more could a gal want. My friends and family are anything but generic so why would I give them a boring card? It's this reason alone why Papyrus is my go to brand or even Moonpig depending on the person or occasion. Fun fact about Papyrus they are actually an American brand, I had no idea and totally thought they were British or European. I feel like I don't tell people enough how much I bloody love 'em so I am definitely going to use some of these little cards to send back home to remind them! 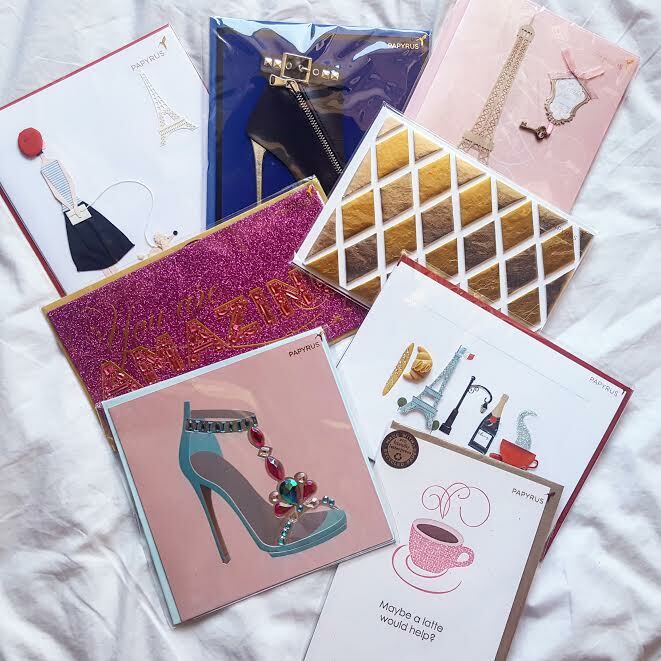 Do you still like sending cards or are you all about the gifts? they are such lovely cards! I'll have to check them out, I love sending pretty cards, and love keeping ones that are sent to me!